Could you provide us with a small bio of you? I grew up as a big city girl in the smallest capital in the world – on a small volcanic archipelago in the North Atlantic Ocean. Nature was a very big part of growing up in the Faroe Islands; so naturally, nature is a great source of inspiration in my current work. My interest in fashion was evoked very early and I was lucky to have a mom that could knit basically everything, so I grew up in fine hand knitted dresses and sweaters. But as a child of a sailor’s nation, I was drawn toward the horizons. My first stop was Denmark, where I got most of my formal education. I studied economics and marketing and graduated with a master in fashion marketing and management. When did you decide to start with your own brand and why? I have always had a desire to create something on my own. So when I quit my position at a multi-brand fashion house in Copenhagen in order to move to Zürich, the time was just right. I had given birth to our firstborn and the joy of being a mom was without comparison, but I still longed to use my professional skills in a way that could be combined with having a little baby. I missed Scandinavian design and the good qualities that I had gotten so spoiled with in my previous position, so Minimalisma incorporates exactly that. Minimalistic Scandinavian design combined with the finest qualities. Could you describe the design process? The essence of every collection is quality. When I start a new collection; I first focus on what qualities I would like to use and then I create the designs and colours for the collection. 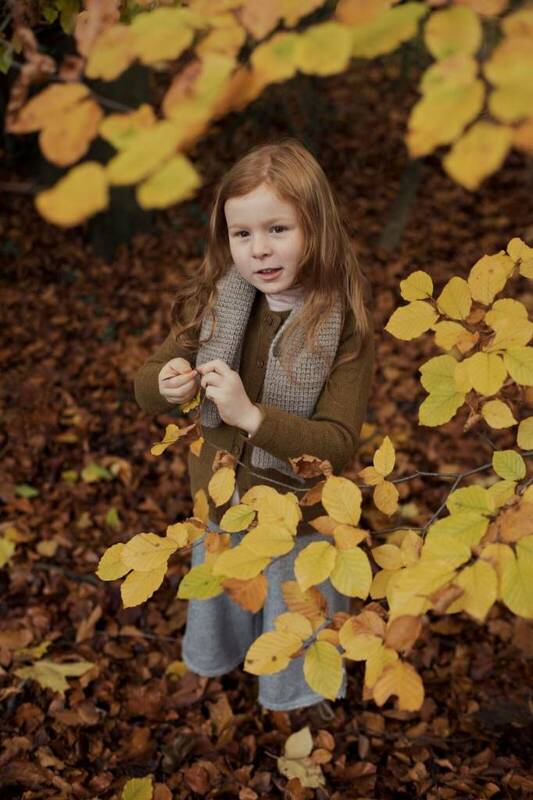 We only work with natural materials such as silk, wool, cashmere, alpaca and organic cotton. Key to each collection, is our signature silk seamless – and in the winter, this is complimented with a collection in pure wool seamless. How are Minimalisma clothes produced? We work with selected producers in Europe and Asia. These suppliers have worked with me for a long time, leading to relationships filled with friendship and mutual respect. We find it important that working conditions are good and fair, and produce clothing free of harmful chemicals. Is it true that minimalisma only uses natural fabrics? Yes. All of our clothes are natural, as it’s important to us to respect the environment and the nature that belongs to our children. Silk caterpillars refuse to eat leaves treated with pesticides. Alpacas feed on grass in the Peruvian highlands while cashmere goats enjoy the vast landscape in Mongolia. Our wool and the cotton is oeko-tex certified and, thus, controlled for any harmful substances. We produce our organic essential line in accordance to GOTS.